At Pint Nine, we are committed to tradition and innovation. We stand on the tradition of brewers before us to create aroma driven American ales and complex Belgian beers. We appreciate fine German lagers and English session ales, but we also crave the innovation of one-off batches and barrel aging. Our beers are highly fermentable and highly digestible, while being scientifically sound and artfully executed. We hope you enjoy drinking our beers as much as we enjoy brewing them. Cheers! Before there were so many great American Craft Breweries, we had to get our “good” beers from local bottle shops. Most of these highly prized beers came from fantastic little European cities, and graced our shores in 16.9 oz. bottles. We’d lovingly refer to each bottle as a “Pint Nine”, and the name just stuck. When it came time to start our brewery, it just seemed natural to name it Pint Nine, a phrase that had been with us since the beginning of our great beer adventure. We hope Pint Nine can be part of your great beer adventure too. ALL TUESDAYS in April will feature $3 off each crowler. ALL WEDNESDAYS in April a portion of our sales will be donated to Kicks for a Cure – Come out & join us for Pints for a Purpose and show your support! To learn more about Kicks for a Cure click here. 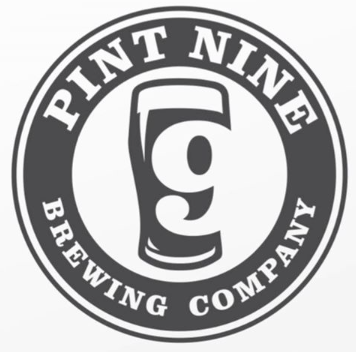 Saturday, April 6th - ** Pint Nine Madness ** The Madness is coming to a close….Pint Nine IPA vs. Session Red - $1 off each of these pints during the game! Which beer will advance to the finals on Monday the 8th? Sunday, April 7th - **Beer Release** Pink Boots Society Collaboration hosted by Pint Nine on National Beer Day! These boots are made for hopping! $1 from every pint will be donated back to this great organization that was created to assist, inspire and encourage women beer industry professionals. Join us for the Championship game and Free Pizza & Wings. Food will be delivered at 7pm. Game starts at 8pm and we will stay open till the game ends! Also- the final beer bracket starts when the game starts - Session Red vs. Planet Lupulin Doube IPA! $1 off both all night long! Who will win?OPEN for the final game of March Madness and the winner of Pint Nine Madness we be declared! Tuesday, April 9th - Tech Talk Tuesday from 5:00 - 7:00 pm - Join Michael Meyer over a pint and see what others are doing in the world of technology. 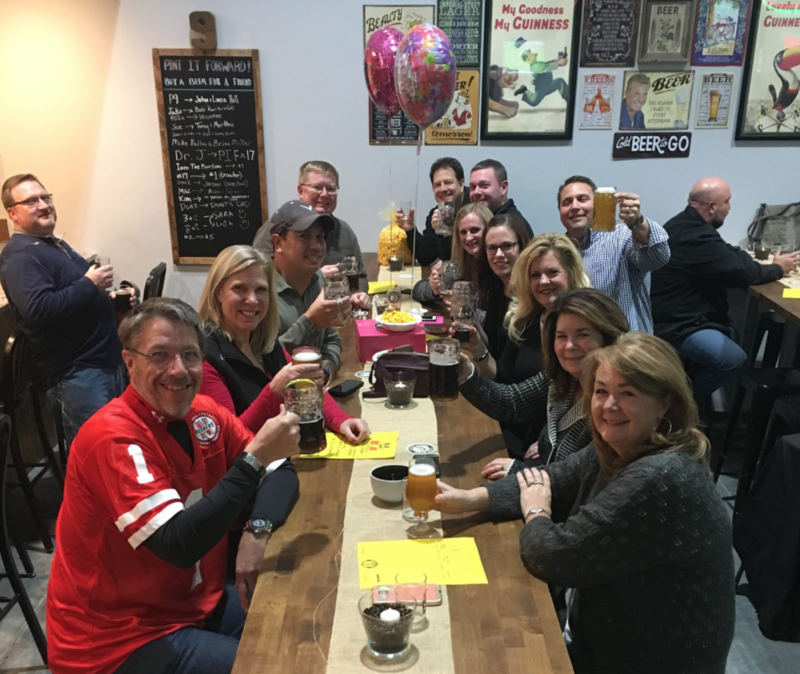 Tuesday, April 9th - Old Chicago Beer tour kicks off across Omaha & Lincoln. Wednesday, March 24th - Pints for a Purpose, supporting Kicks for a Cure from 4:00 - 9:00 pm *BREWERY TOUR 5pm – for anyone donating ANY amount to Kicks for a Cure! Saturday, April 27th - ** The return of the PENTAGON ** RIDE OR RUN between breweries starting at 10 - 11am from Pint Nine - then proceed (counter-clockwise) to RIDE OR RUN to all the taprooms @ a 9 Mile Loop. NE5 - 5 Fabulous Miles - Five fabulous miles (out-and-back course) along the West Papio Trail, age category awards & RRCA State Championship! All 5 milers will receive a pint glass, food & fun! Packet Pick up Sat, 4/27 from 4:30-5:45 at Pint Nine. Thursday, May 2nd - Lung Force Breathe & Brew at Pint Nine from 6:30 - 8:00 pm. The American Lung Association is excited to be partnering with FOUR local breweries to bring yoga and beer lovers together for a good cause. Each Breathe & Brew session is a 60-minute yoga class, beer tasting and brewery tour. Class will be taught by our very own Chandel Wandt! For more information and tickets click here. On each PINT-A-GON Saturday participants should meet at the RIDE OR RUN host location between 10am - 11am then proceed (counter-clockwise) to RIDE OR RUN to all the taprooms @ a 9 Mile Loop. o	April 27th – Pint Nine Brewing Co.
o	October 12th – Pint Nine Brewing Co.
o	May 18th – Pint Nine Brewing Co.
Tuesday - $3.00 off any Crowler. Wednesday - Wear it Wednesday! 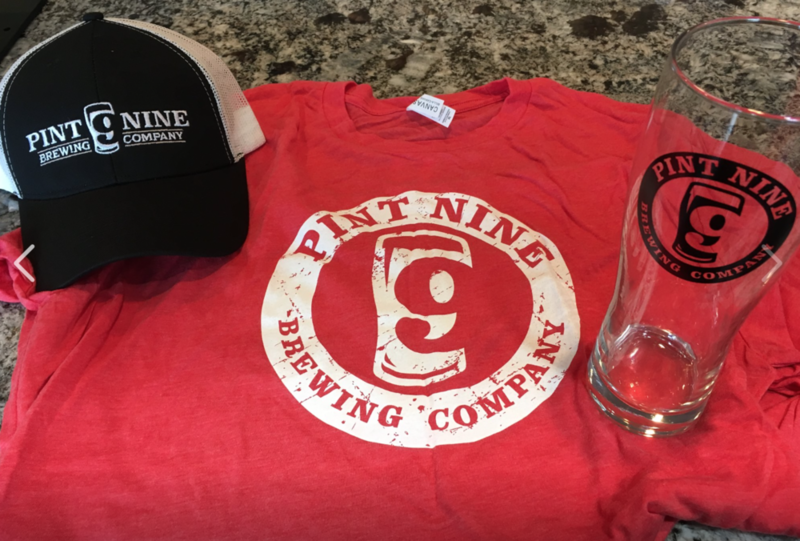 If you are spotted in the taproom wearing Pint Nine merchandise you’ll receive $1.00 off pints all night! 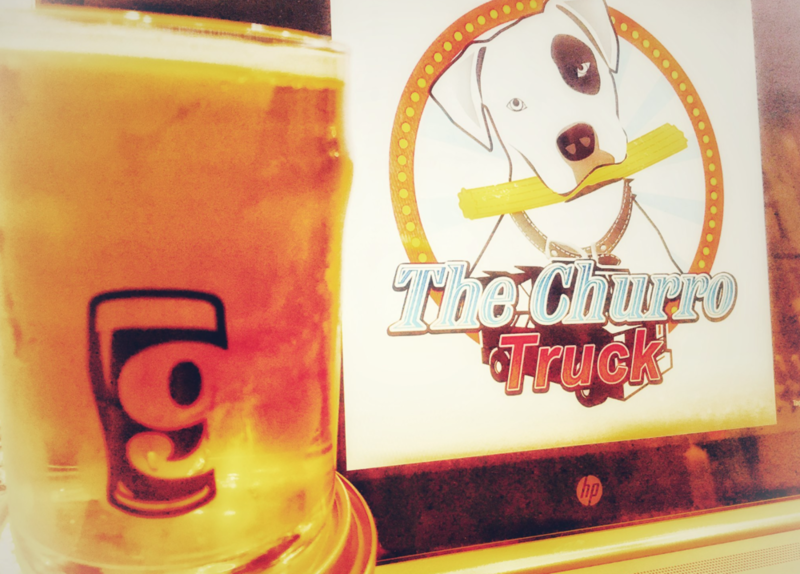 Friday - Happy Hour from 2:00 - 5:00 pm and receive $1.00 off all pints! Beer Box- our version of a flight. Beer me! 9 Wall - Bring a 9 to hang on our wall and receive $1.00 off your first pint…any day….anytime! Other alcoholic drinks available such as wine & Moscow Mules in the can! Cheers!! Non - alcholic drinks are available too…variety of canned sodas. 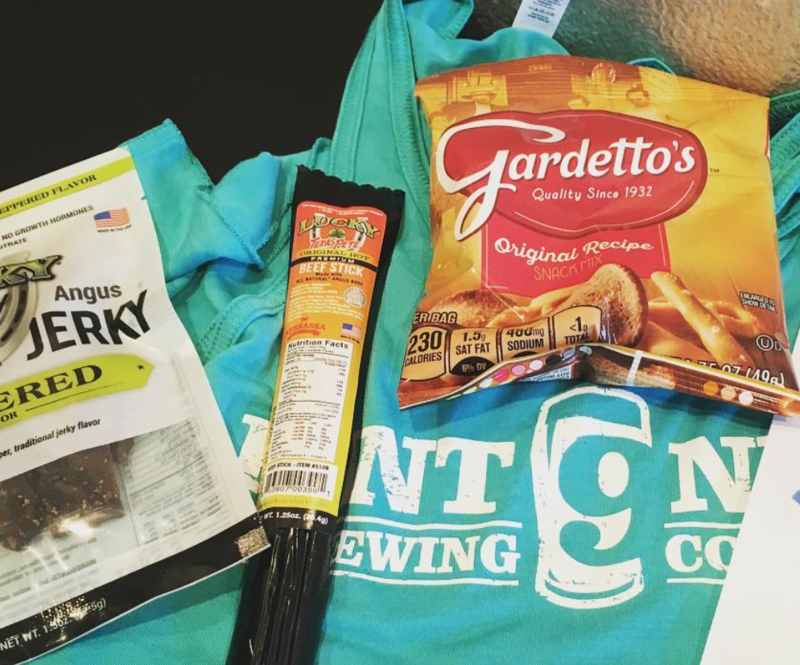 Light snacks are available for purchase…..pretzels, chips, beef jerky. Food Trucks arriving most Fridays and Saturdays. Check our events page for a monthly calendar. Bring your own food! You are welcome to bring in or have food delivered. We have nieghborhood menus behind the bar…just ask! Merchandise available in the taproom. Sweatshirts, T-shirts, hats, keychains and a variety of glassware. All great to pair up with a Pint Nine gift card! Got a question you need answered? Give us a shout. You can send comments, questions, word games, vacation pics, favorite family recipes... whatever you feel like here. We will get back to you asap! Thanks so much to all of the great accounts in Nebraska that support us outside of our taproom!